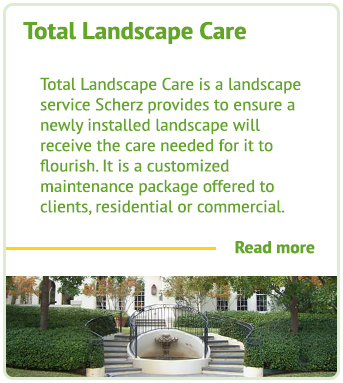 Scherz Landscape Company is as well-rooted in the Texas soil as the nursery stock we grow and sell. Established in 1927 by Phillip Scherz, the firm remains dedicated to its founding philosophy of good design and horticulture principles by knowledgable landscape professionals. 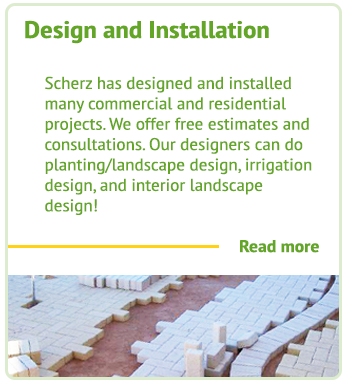 Throughout the years, Scherz Landscape has designed a multitude of local and area projects from city parks and institutional facilities to private residences and office complexes. In 1964 the firm moved to its present location at 2225 Knickerbocker Road. Today, employees carry on the traditional commitments of professionalism, integrity, and dependability. 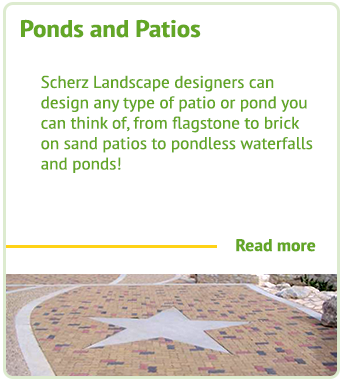 Scherz Landscape has a large year round retail plant nursery and is your local source for landscape design & installation, lawn care & maintenance, ponds, fountains, patio furniture and sprinkler installation for San Angelo and the surrounding area. We offer free consultations and can work with any size job and budget. From the weekend do-it-yourself project to a full-scale installation, we look forward to working with you. Scherz Landscape Co. is as well-rooted in the Texas soil as the nursery stock we grow and sell. Established in 1927 by Phillip Scherz, the firm remains dedicated to its founding philosophy of good design & horticulture principles by landscape professionals. Our aim is to create and preserve beauty in the surroundings of human habitation. Copyright © 2016 | Scherz Landscape Co. | All Rights Reserved.